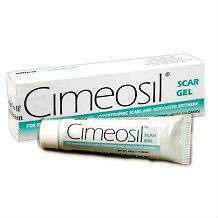 Cimeosil Scar Gel’s active ingredient is polysiloxanes (polymerized siloxanes/silicone). To use this gel, ensure the you wash affected area and dry before thoroughly before applying a small amount of Cimeosil Scar Gel. Gently wipe away excess amount. Apply the product twice daily. Do not use in excess because this may cause stains on bedding or clothes. Avoid getting the product in the eyes or mucus membranes. Do not use this gel on infected areas or open wounds. Product should be used under supervision of a licensed esthetician or surgeon. 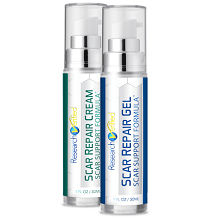 Cimeosil Scar Gel is available in a 14 g tube. Each tube costs $31.It passes for a pocket-friendly product though it does not have any special discounts from the manufacturers. This product lacks a money- back guarantee and that means you too lack a fall-back to resort to in the event that it doesn’t perform as per expectation. Product safety-it passes the test of safety due to the absence of adverse side effects. Money-back guarantee-the product fails this test. Long-term value for money-again on this matter, it fails the test because while you buy it for less, its protracted use dilutes the whole value of initial purchasing affordability. Affordability-it is affordable at purchase level. Natural ingredients -it fails the test because it does not contain natural ingredients.